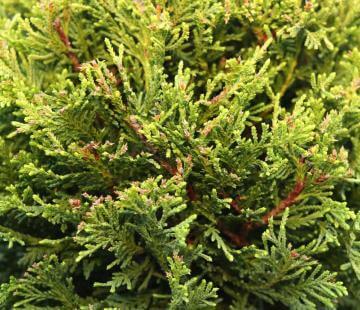 The Cupressocyparis is a hybrid between Chamaecyparis and Cupressus. The Castlewellen Gold is a tall upright evergreen with a conical growth habit usually growing to 2-10 metres tall and 2-5 metres wide. 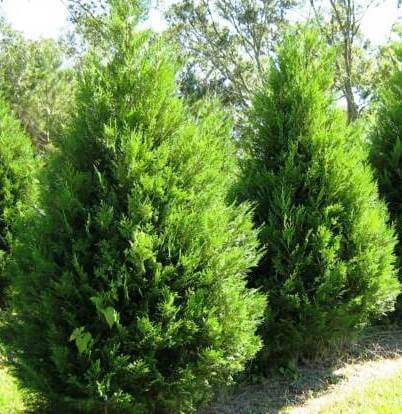 It is a fast-growing pyramidal conifer with scaly leaves that are light green in summer and golden yellow in winter. The dense foliage can be grown to create hedged walls making this a popular choice for privacy screening or disguising unsightly areas. Trimmed once or twice a year they make beautiful feature trees for the garden and are often used for topiary. 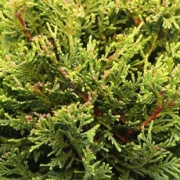 A very hardy adaptable tree which will grow in any well-drained soil in part shade to full sun. Tolerant to alkaline soil, drought, frost, heat, wind and coastal conditions.